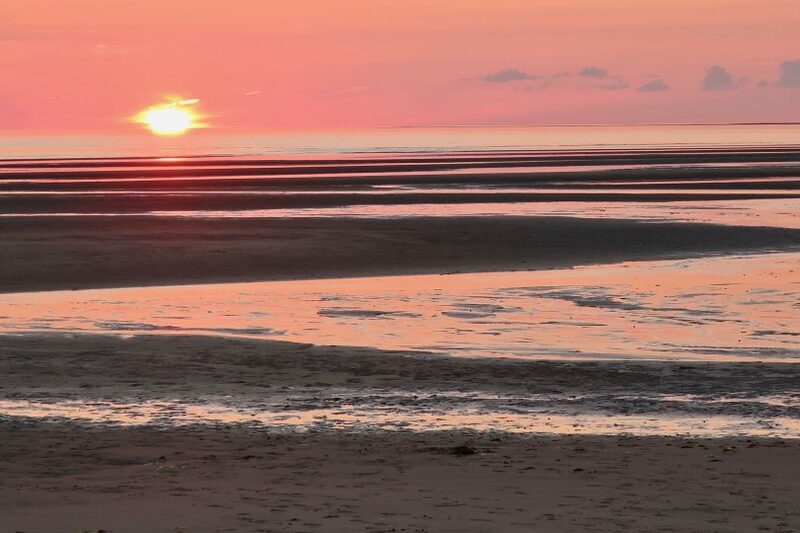 EASTHAM – There are rumors that the sun sets all over the world, but it’s frankly impossible to imagine anything nicer than a July sunset at low tide on Kingsbury beach where the stripes of sand and sea and sunlight glisten like a psychedelic summer dream. 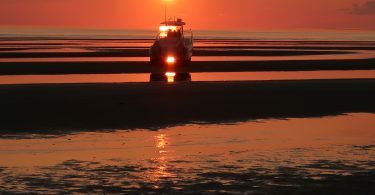 Every day in the summer on Cape Cod, we find ourselves in something like shock and awe that the weather is like this, and then just when we will get used to it, we will be shocked to find it is fall. That, essentially, seems the difference between our summers and the tropics. When it is like this, it’s not just another sunny day. We must savor our moments (well six weeks) of paradise, making them all the better. 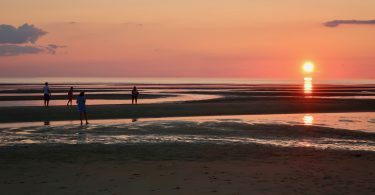 Like this moment at low tide at sunset at Kingsbury Beach.